According to a recent study, the average shower lasts for about eight minutes. This means that you’ll likely spend over 12 hours of every year in the bath or shower. What can you do to elevate the experience? If you want to upgrade the look of your bath or shower, frameless shower doors are the perfect place to start. In this post, we’ll share with you what they are, why they’re such a wonderful idea, and where you can find companies that specialise in them. 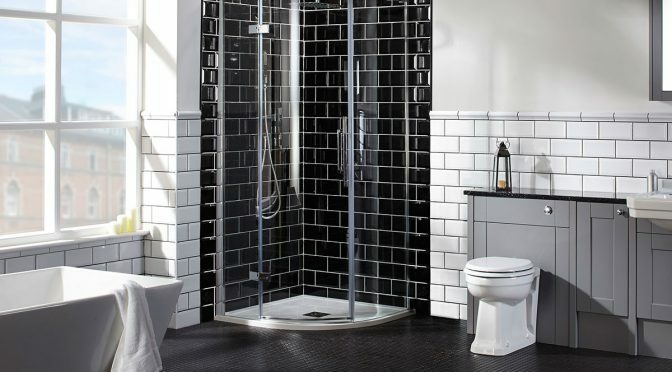 Before we speak about the aesthetic and personal benefits of frameless shower doors, let’s first make sure you’re clear on what exactly they are. 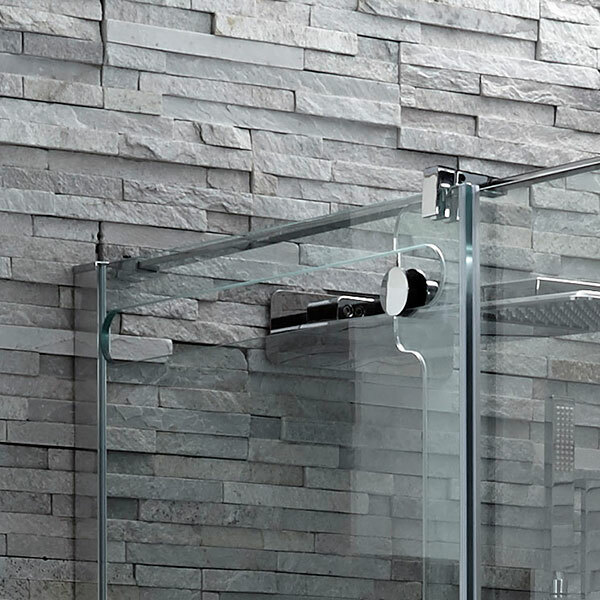 Frameless shower doors — they could be hinged, pivoting, sliding or bifolding — which are constructed and are held together without the outer frame. This eliminates the usually unsightly, corroded metal frame that surround many shower doors when they’re getting on a bit. Additionally, you may also be interested in a semi-frameless design, which incorporates a thin frame or ‘profile’ on the glass that fastens to the wall. They offer many of the same benefits as fully frameless options. These shower doors are perfect for those who want their bathroom to have a crisp, clean, and minimalist look. But this is only one of the reasons why these doors have gained popularity in recent years. Let’s discuss just some of the many benefits of frameless shower doors now. Especially when you’re faced with the rust and grime that so often builds up on traditional, framed shower doors, getting it clean can quickly become quite a project. It can also get expensive, as you may end up frequently having to replace the filthy door frame. A frameless door eliminates this problem and is much easier to keep sparkling. Since it’s essentially just glass, a quick wipe-down with soap and a squeegee will do the trick perfectly. Having a shower door you can easily keep clean also comes with a host of health benefits. You likely already know just how dangerous a build-up of dust and mold is to your family’s health. In shower doors with frames, it’s quite simple for water to become trapped underneath the frame — making it the perfect environment for mold to flourish. Since it’s much more difficult for standing water to gather in a frameless shower door, the chance of mold growing is greatly reduced. If you’ve ever slipped on a puddle of water when getting out of the bath, you know how important this is. Frameless doors work to create a watertight seal, which makes it more difficult for water to escape. It’s not just safer, it’s also one less thing you’ll have to clean up. If you’ve invested a great deal of money into the design of your shower, you want to show it off. Especially as mosaic and tile designs in showers become more and more popular, frameless doors allow them to shine through. Now, your shower can easily become the centerpiece of your bathroom. Plus, these doors open up your bathroom, making it appear much bigger than it might actually be. If you live in a cramped flat, a frameless door can give you a much-needed appearance of space. Especially when used in combination with flattering lighting, you’ll certainly enjoy the more open look of a frameless shower door. It’s absolutely possible to customise your frameless door. You can choose the shape, size, and even the shade of the glass you want to use. This means that you’ll be able to avoid a costly complete bathroom remodel. Instead, you can simply create a door that works perfectly with the shower or bath you already have. You may be wondering how frameless shower doors can support themselves — and stand up to daily wear and tear — without a frame. The answer is in the glass itself, which is generally much thicker than it would be if the door had a frame. This means that it’s able to safely stand on its own without coming loose quickly. Additionally, many of the frameless doors on the market today incorporate clever brackets and supports that link the glass just like in the semi-frameless Aquaglass+ Glide model above. This means that if the doors come under impact, they can indeed shatter. However, the good news is that the glass is held together with a film on either side, lessening the disaster. If you’ve been known to accidentally slam your shower doors with a bit too much force, this is an excellent option. Keep in mind though, that because of this extra thickness, frameless doors are a bit heavier than their framed counterparts. As a result, you may want to rely on the services of a professional when it comes to installation. If you’re in the middle of a bathroom remodeling project, you may not have made all of your final decisions regarding paint colours, wallpaper, and lighting. Still, this doesn’t mean you need to wait on installing your shower! This is yet another benefit of frameless doors: their ability to work within a variety of design schemes. Though the majority of homeowners may associate them with a minimalist design, in fact, they can work just as well in a statement bathroom. No matter what you want the final look of your bathroom to be, frameless doors are the perfect way to complement it. Where Can You Purchase Frameless Shower Doors? Of course, the most important decision that you’ll make when designing your new shower is where to purchase your frameless door. You want to go with a reliable, experienced company with a strong reputation. You need to know that they’re using only the highest quality of materials. They’ll also need to have a wide variety of shower doors to choose from. No matter the size or design of your bathroom, we have all the products you need to take your bath or shower to the next level. Spend some time on our website to browse through our curated selection of products. We’re confident that you’ll have no trouble finding exactly what you’re looking for. Renovating your shower should be just as pleasant of an experience as taking one after a long day.